These eroded calcium deposits are unusual to say the least. This view is toward the sunset. Probably the bottom of a very ancient ocean. 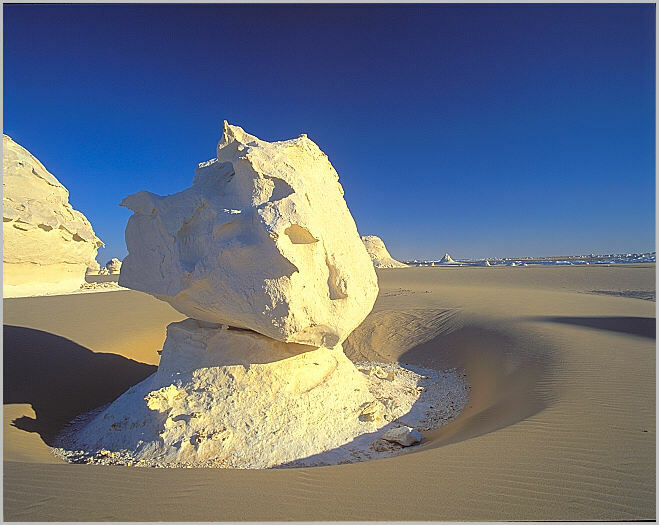 The white Desert is located some 425km southwest of Cairo. It is remarkable how deep blue the sky gets in the Sahara.